My friend and Ice Music Festival media chief, Emile Holba, made me laugh with his quote that, ‘the Ice Music Festival is where art is lunacy’. He is not far wrong. To carve musical instruments out of ice (not just any old ice, but pure Norwegian fjord ice, if you please) and perform on them on beautifully built outdoor ice stages where the temperatures can drop to -20C is actually totally crazy! But it works and it is the most extraordinary experience. 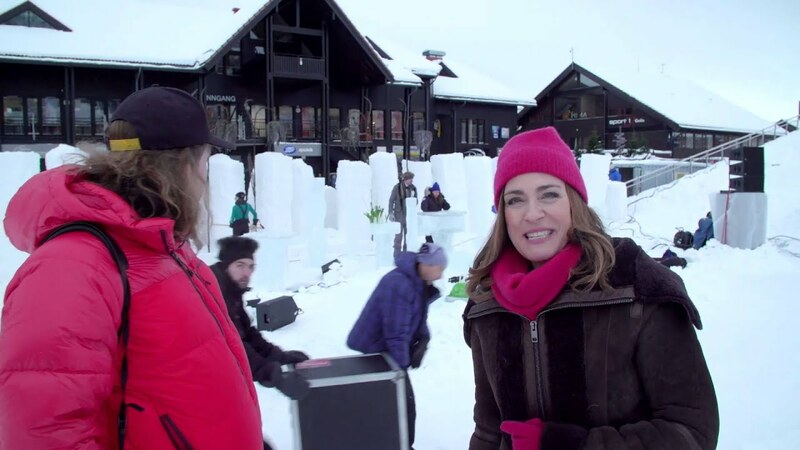 The Ice Music Festival founder and director, Terje Isungset, and his tireless team of ice sculptors, musicians and extremely impressive sound people really put on a festival to remember. The highlight was the legendary midnight concert under the full moon with ice percussion and ice horns accompanied by beautiful medieval singing. The atmosphere at the concert as the music and singing drifted across the frozen fjord surrounding us was something I’ll never forget. It’s hard to describe the uniqueness of this festival well enough in words, so please have a look at the episode and the Making Of photos for a better understanding. A huge thanks to my Geilo team, especially Paul and Emile for all the organising. And to Daniel for letting me try his Mammuthaphone for the Horn Challenge – I FROZE my lips off! If you can make it to Norway to visit the Ice Music Festival in person, I thoroughly recommend it, this music should be experienced live. Just don’t forget to pack your warmest clothes! The Coldest Horn Challenge ever!